Coastal basins are defined as estuaries, lagoons, and embayments. 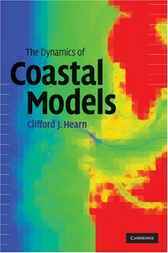 This book deals with the science of coastal basins using simple models, many of which are presented in either analytical form or Microsoft Excel or MATLAB. The book introduces simple hydrodynamics and its applications, from the use of simple box and one-dimensional models to flow over coral reefs. The book also emphasizes models as a scientific tool in our understanding of coasts, and introduces the value of the most modern flexible mesh combined wave-current models. Examples from shallow basins around the world illustrate the wonders of the scientific method and the power of simple dynamics. This book is ideal for use as an advanced textbook for graduate students and as an introduction to the topic for researchers, especially those from other fields of science needing a basic understanding of the basic ideas of the dynamics of coastal basins.